Be afraid, be very afraid… of starting your day with too much energy. 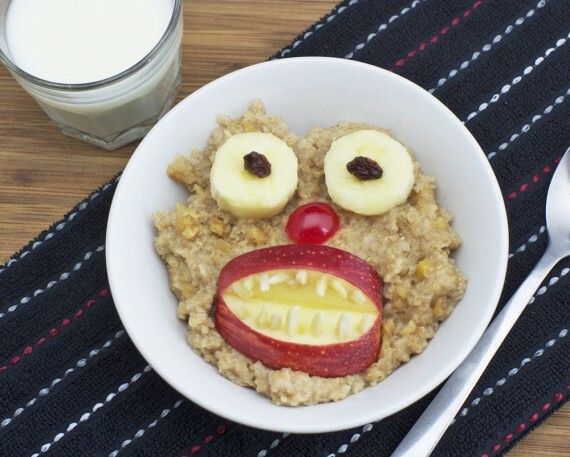 I’ve created a monster… a healthy beast made of oatmeal, apples and bananas. My, what big teeth he has. The better to eat you with! 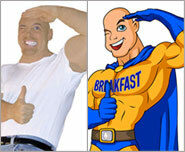 Or more correctly stated, the better for you to eat because his choppers are made of delicious slivered almonds. In this article, I’ll show you two ways to make apple teeth – one with almonds and the other with peanut butter and marshmallows. Making apple teeth with almonds is super easy. Cut an apple into quarters and then take a slice out of each quarter. 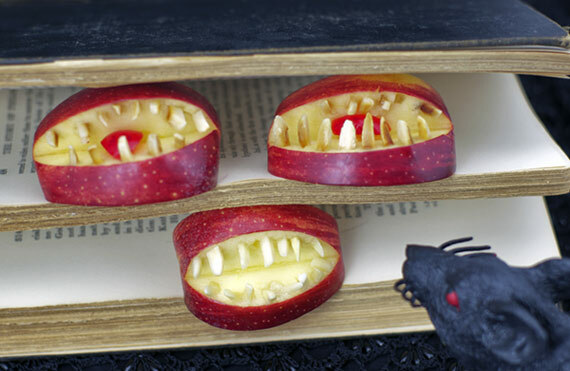 Next, just poke in almond slivers for the teeth. Done. 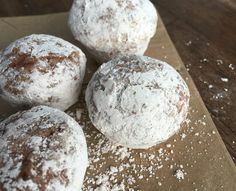 As you’ll notice, I also tried using toasted almonds. That turned out great because they look like dirty teeth. I played around with using a cherry to act as a tongue. It didn’t work how I wanted. You can see above that it made the teeth look like eyes. Too weird. And this is coming from a guy who just spent hours making teeth out of food. The second way to make apple teeth isn’t quite as impressive looking, but it may be a little more delicious. For these, you cut an apple into wedges. 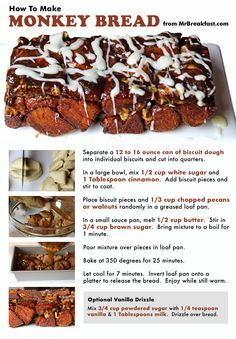 Spread peanut butter on one side of each wedge. 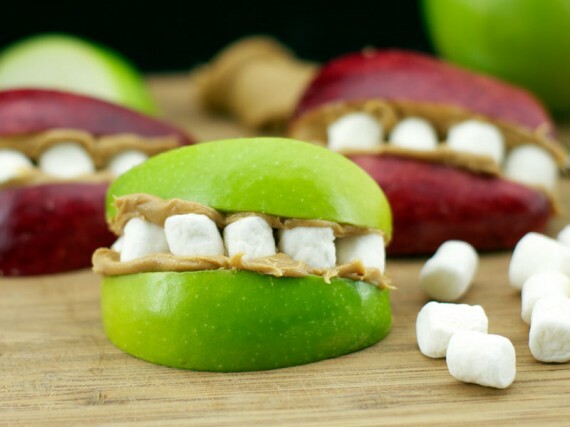 Then, arrange mini-marshmallows as teeth. Sandwich the wedges together and you’re ready to stick your teeth into your teeth. 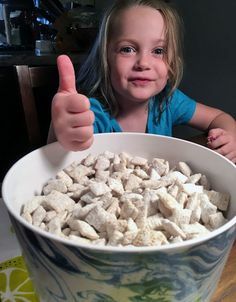 As with the almonds, it’d probably be fun to toast the mini-marshmallows. I’ll leave it to you to find a miniature campfire and a tiny stick. So, that’s all there is to it. 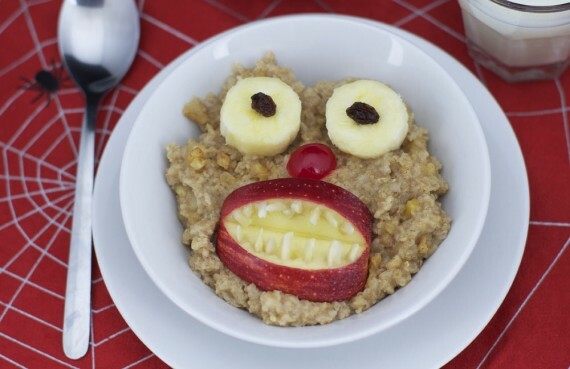 Put the teeth in a bowl of oatmeal with some banana eyes to make your own breakfast monster. You can do the same thing on a pancake or a waffle. 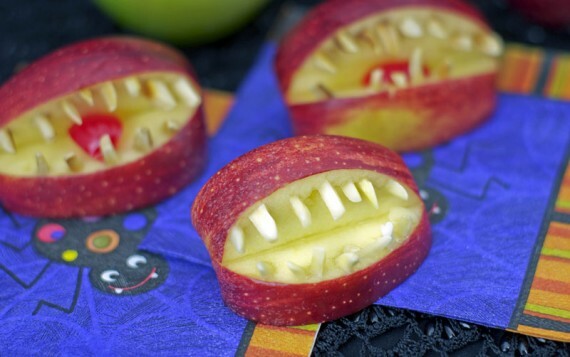 This can be a fun Halloween project for kids. 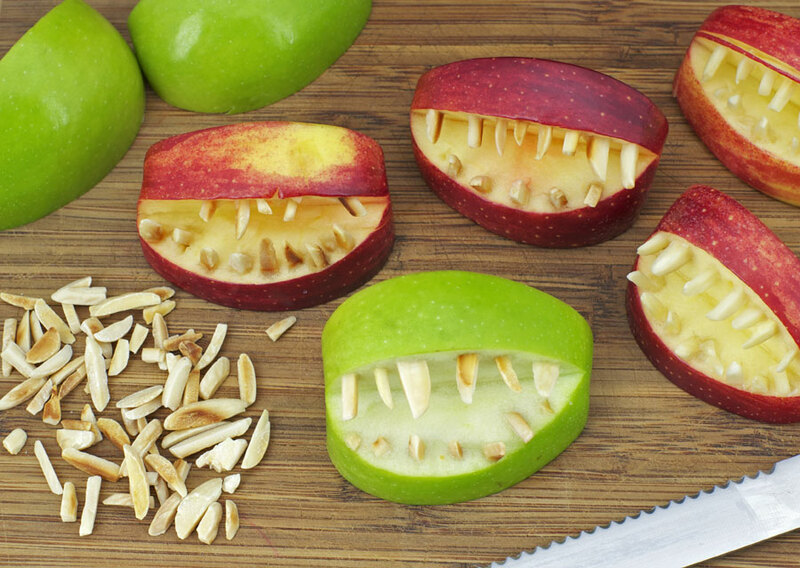 They’ll love helping to make apple teeth and they’ll love eating them. 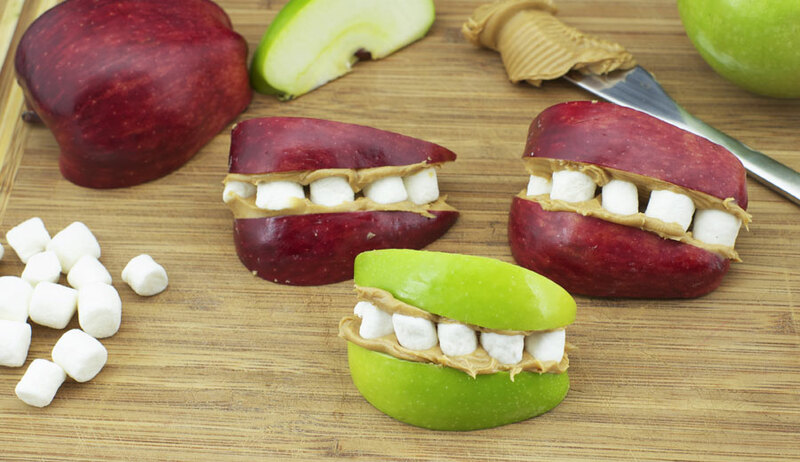 If you can make apples seem cool in this season of candy, that’s quite an accomplishment. I have to go now. There’s a Goblin in my Granola! Another story for another time.